that is more straight-ahead and melodic than Linkin Park. 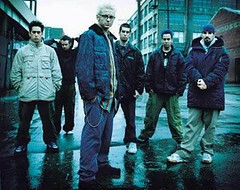 Speaking of his other band, Bennington revealed that Linkin Park has already begun writing the follow-up to Minutes to Midnight. toward the studio. «We’re way ahead of the game,” Bennington said.